As with pretty much every other browser on the market, Microsoft Edge allows you to organise the websites you visit most frequently. 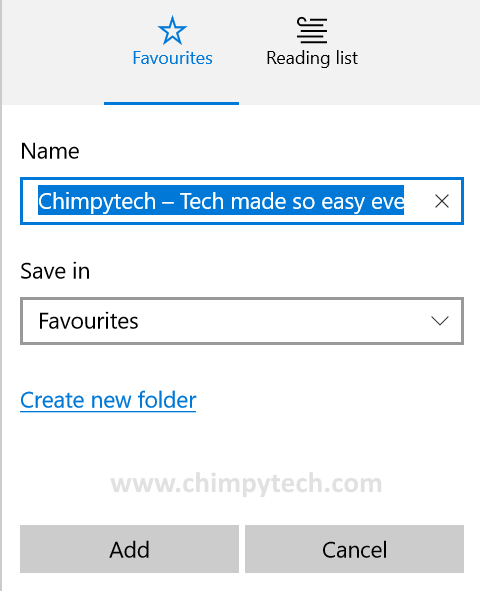 In Edge the websites you visit frequently are called favourites and in this tutorial we will show you how to add favourites within Microsoft Edge, delete and organise them. Open Microsoft Edge and go to the web page you want to add to the favourites. To add the current page to your favourites simply click on the ‘Add’ button. If you have a lot of Favourites then you may want to organise them by saving them in sub-folders in the Favourites folder. 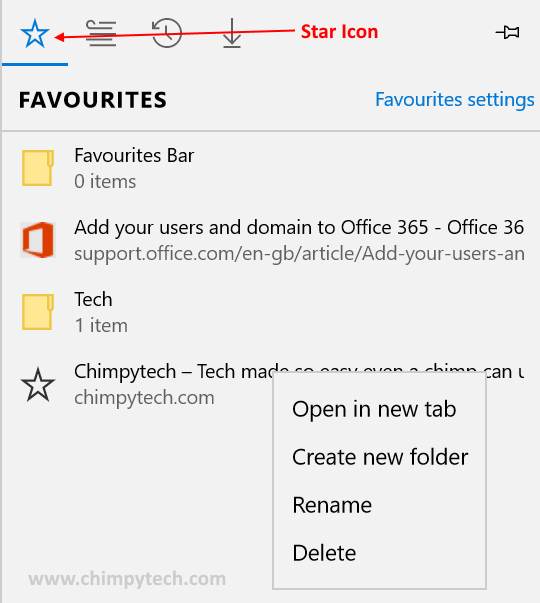 Before you can add Favourites in to a sub-folder you must first create the sub-folder, do this by following the first two steps above, however, instead of clicking the ‘Add’ button, click the ‘Create new folder’ text and you will see the dialog below. Enter a name for your sub-folder and it will be created, and the Favourite automatically stored in it. 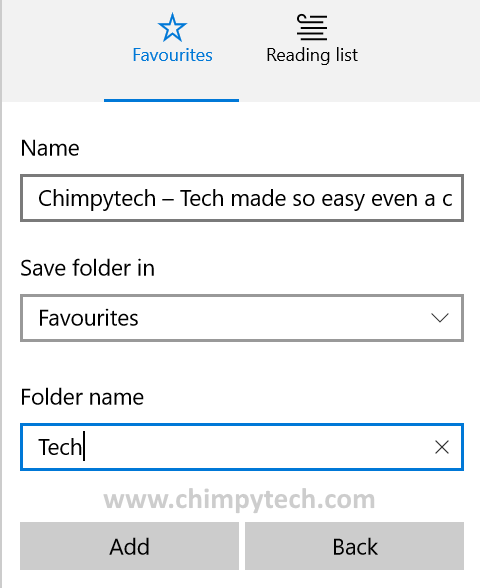 The next time you store a favourite you will be able to choose which sub-folder to store it in by clicking the expand arrow in the ‘Save folder in’ drop-down. Next click on the ‘Hub’ icon in the address bar. all of which are self explanatory, simply select ‘Delete’ to get rid of a Favourite (or folder).